With AVS Audio Converter you can Convert audio between MP3, WAV, WMA, M4A, FLAC, M4R, AIFF, M4B, OGG, AAC, AMR, etc. Apply effects, customize output parameters, use batch mode. 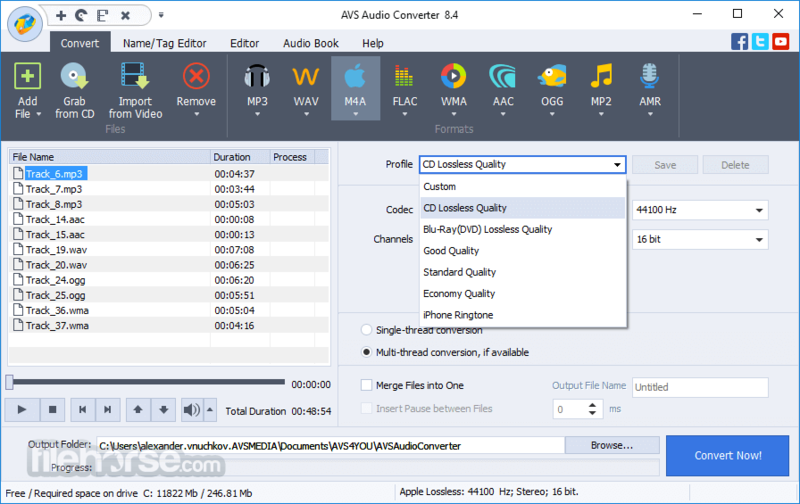 Download AVS Audio Converter for PC Now! Convert MP3, WMA, WAV, M4A, AMR, OGG, ALAC, FLAC, MP2, etc. 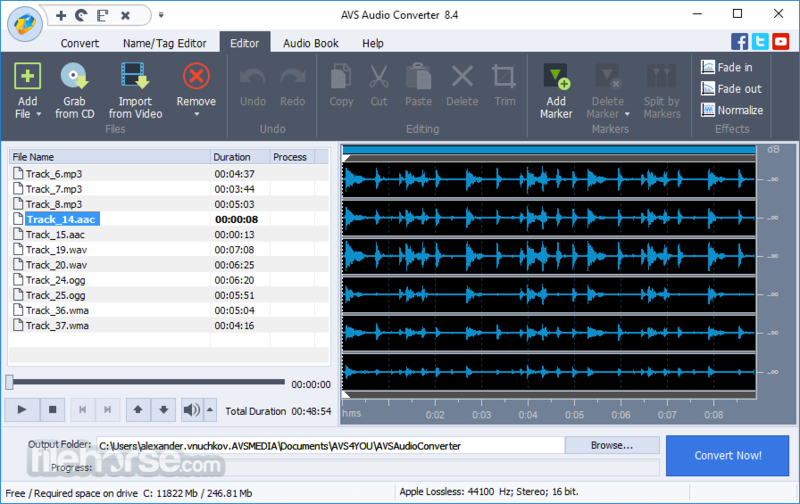 Manage APE files and encode them to any key audio format supported by AVS Audio Converter. Use a command line mode to convert or compress a large number of audio files at once. Create your own conversion patterns, set favourite presets and schedule an automatic conversion process. AVS Audio Converter interface is available in English, French, German, Spanish, Italian, Japanese, Dutch, Polish and Russian. Read: MP3, MPEG3, WMA, WAV, M4A, M4B, M4R, AAC, AMR, AWB, OGG, MP1, AC3, MP2, ALAC, FLAC, AIFF, AIF, AIFC, AU, VOX, MPC, MP+, MKA, RAW, PCM, GSM, AVI, IVF, DIV, DIVX, MTV, AMV, MPG, MPEG, MOD, MPE, MVV, M2V, WMV, ASF, DVR-MS, DAT, IFO, VOB, VRO, M2TS, M2T, MTS, TOD, TS, TP, DV, MKV, OGM, OGV, OGA, OGX, RM, RMVB, RAM, IVR, MOV, QT, M4V, MP4, 3GP2, 3GPP, 3GP, 3G2, FLV, SWF, MID, MIDI, KAR, APE, QCP, MPA, RA, SHN, VOC . Write: MP3, WMA, WAV, M4A, M4B, M4R, AAC, AMR, AWB, OGG, MP2, ALAC, FLAC. Note: The non-activated version of the program has no function limitations, although the voice logo will be added to the output audio file.